Memorial Day weekend is upon us, which everyone knows is the unofficial start of summer. (Sorry to steal your thunder, Summer Solstice!) 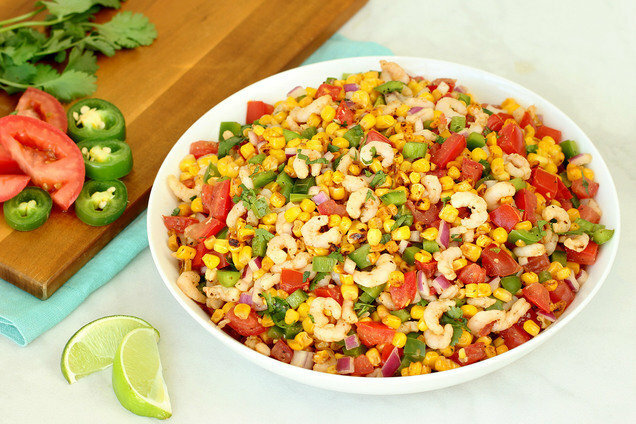 This healthy side dish is perfect for Memorial Day BBQs, Fourth of July parties, Labor Day cookouts... basically any warm-weather get-together! Your Weekend Also Needs ICE CREAM! Have you listened to the “The Ice Cream Episode” of the new Hungry Girl podcast? You NEED to! Here’s what you can expect from this ep' of Hungry Girl: Chew the Right Thing! LISTEN NOW... OR SUBSCRIBE & LISTEN LATER! Make sure everyone gets a bowlful of this salad... Click "Send to a Friend" now!